Debate on the cultural policy after the change of government with State Secretary to the Minister of Culture, Knut Olav Åmås, artistic director at Ny musikk Anne Hilde Neset and former editor of kunstkritikk.no Jonas Ekeberg. Bo Krister Wallström and Claire Doherty. With plan b (Sophia New and Daniel Belasco Rogers), Toril Johannessen and Dieter Lesage. 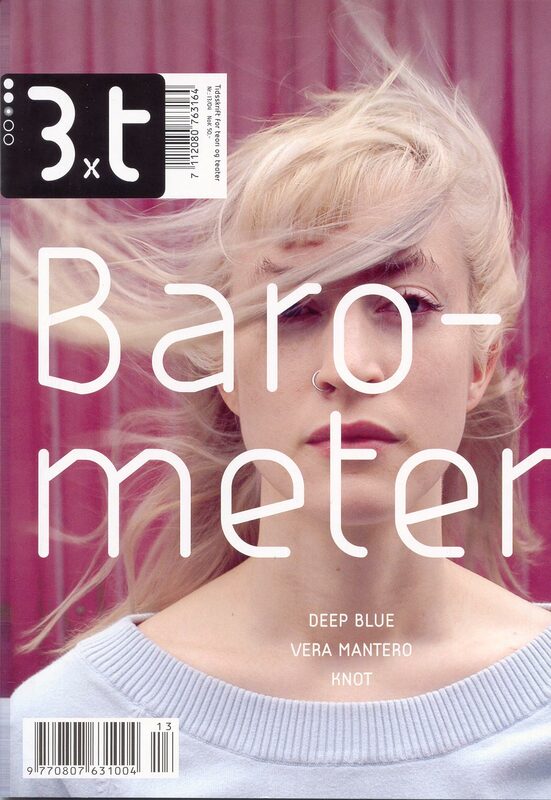 One of our main themes in the Norwegian Art Yearbook 2010 is the internationalization of the art scene. An important, yet fairly little discussed issue, is the global increase of different Artist Residency-programmes during the last 10 to 15 years, and how this has influenced the contemporary art production. The Artist residency-prorammes deals with accommodating artist’s travels and ideally become established internationally, while the organizers also want something in return, in the form of exhibitions or network. In addition to looking at the potential conflict between these two intentions, we wish to discuss how the dissemination of Artist Residencies influence artists’ way of working and today’s art production. plan b are the British-born artists Sophia New and Daniel Belasco Rogers. Since 2002 they have made over 25 projects together that have been shown in 27 different cities. They work together collaboratively as well as pursuing solo projects. Alongside performances made specifically for a particular context or place, they make installations based on their GPS-traces, works on paper, durational performances, locative media projects, audio guides and video walks. . In 2001 they both received separate Artsadmin Artists' Bursaries, in 2004 plan b were artists in residence at Podewil, Berlin, and in 2006 Belasco Rogers received a stipend from the Akademie der Künste, Berlin. Toril Johannessen is an artist and member of the studio collective Flaggfabrikken - center for photography and contemporary art, which has hosted a residency since the autumn 2006. She is based in Bergen, and has recently returned from residencies in Vancouver and Berlin. She holds an MA from the Bergen National Academy of the Arts, and will start Maountain School of Arts (MSA^),Los Angeles January 2011. Her latest exhibitions include Bergen Kunsthall No.5, Bergen, CSA Space, Vancouver, and Lautom Contemporary, Oslo. Dieter Lesage is a philosopher and writer. He has been a visiting professor at the Piet Zwart Institute of the Willem De Kooning Academie in Rotterdam (2003-2005) and at the Institut für Kulturtheorie of the Leuphana Universität Lüneburg (2007). He is a professor and research coordinator at the Department of Audiovisual and Performing Arts (Rits) at the Erasmus University College Brussels. He is a member of the Editorial Board at Afterall (London-Antwerp-and member of the International Advisory Board of Art & Research – A Journal of Ideas, Contexts and Methods (Glasgow). He is a co-editor, with Kathrin Busch, of A Portrait of the Artist as a Researcher: The Academy and the Bologna Process (Antwerp: MuHKA, 2007). With German artist Ina Wudtke, he curated the exhibitions A Portrait of the Artist as a Researcher (Freiraum/quartier21, Vienna, 2007) and A Portrait of the Artist as a Researcher 2.0 (Beursschouwburg, Brussels, 2008) and recently published the book Black Sound White Cube (Vienna: Loecker Verlag, 2010). Since 2006, Dieter Lesage lives in Berlin. Entrance: NOK 50 to be paid cash at the entrance, includes food. Registration before September 20th to norskkunstaarbok(at)gmail.com. Limited number of seats. This seminar is organised by the editors of the Norwegian Art Yearbook 2010: Erlend Hammer, Ketil Nergaard and Marie Nerland. The seminar and launch is supported by City of Bergen and Arts Council Norway and organised in collaboration with KiK, Hordaland Art Centre and Volt. with the aim to create a forum for reflection on the performing arts by publishing interviews, performance texts, visual contributions and theoretical articles. 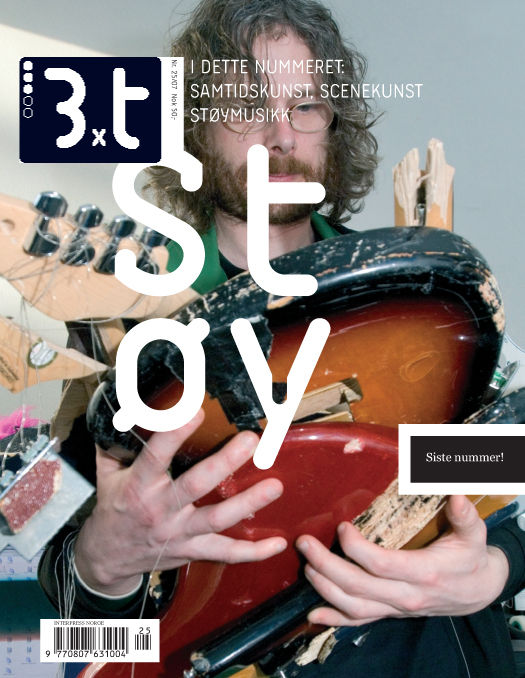 - an anthology of texts by the writers Dag Solstad, Cecilie Løveid, Øyvind Berg, Pedro Carmona-Alvarez, Sverre Knudsen, Ragnar Hovland, Ingri Lønnebotn, Gunnhild Øyehaug, Lars Ramslie, Fanny Holmin, Nora Simonhjell, Finn Iunker, Erling Kittelsen, Helga G. Eriksen, Silje Vethal, Harald Rosenløw Eeg, Rolf Enger, Matt Burt, Yngve Pedersen, Trude Marstein, Nils-Øivind Haagensen. 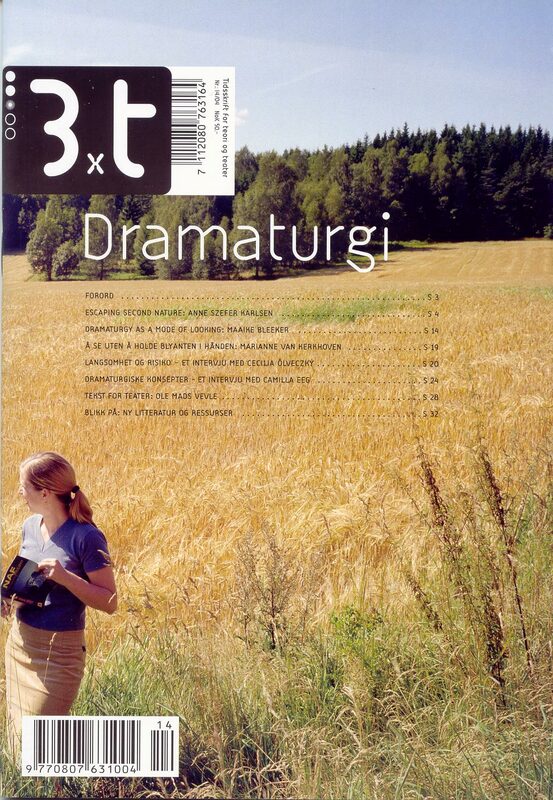 The anthology also has an overview of all performances and projects that have been arranged by BIT Teatergarasjen until 2003. The title Ferdsskriveren is the tachograph or “black box” that records everything that happens in the cockpit during a flight. These are boxes that digitally records everything that happens. The idea of the publication is to create a different kind of documentation where some themes are voyage; risk, landing, take off, turbulence and to be on the way. Ferdsskriveren enables fast forward and rewind, extract fragments and several voices. The box is funded by Arts Council Norway, City of Bergen, Fond for lyd og bilde, Bergen Riksmålsforenings Fond, Bergens Tidende og SpareBank1 Vest.